My husband is an entertaining sleeper. He has very real dreams that toy with his emotions, getting him to believe the impossible. For example, one night at 3am (this is usually the time it happens), he goes flying out of bed. He’s looking frantically out the windows in our bedroom, as if something is wrong. I, being a very light sleeper, wake up and am freaking out. Is there a prowler out there? I ask him what’s wrong. He grunts something and then leaves the house – that’s right! He walks out the door. I hear the jeep start up. And then I hear the jeep drive away. Now I’m worried. After about 5 minutes or so, I hear the jeep pull back into the driveway. The front door opens and I hear him come into the house. He enters the bedroom, and I ask him what’s going on. He mumbles, “I don’t want to talk about it.” He falls back into bed and after about an hour, I finally go back to sleep. In the morning, I ask him again what happened. He looks at me sheepishly and tells me the story. Apparently, he was dreaming about work and when he woke up, he just knew that there were homeless people just down the hill waiting to eat. He felt like he was late and that everyone was disappointed in him. He said that as he drove down the hill, he knew it couldn’t be real, but he had to prove it to himself. We had a good laugh…until it happened again. (But that’s another story). 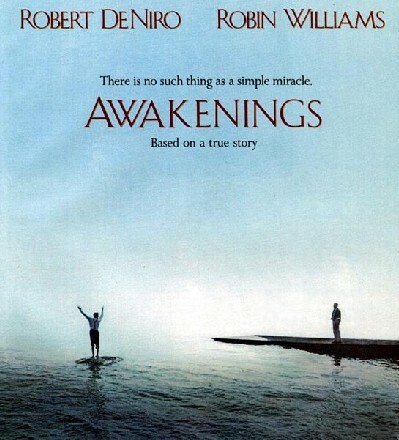 There’s a great movie called Awakenings starring Robin Williams and Robert Di Nero. The movie tells the true story of neurologist Oliver Sack’s experience of waking up patients who had been in a catatonic state for years with doses of the drug L-Dopa. Most of these patients hadn’t been awake for decades, and the movie tells the story of what it was like to wake up in a whole new era. However, the “awakenings” didn’t last, and the people slowly returned to their catatonic state. The doctor, who was a recluse, also had an awakening of sorts through the whole experience, and decided to step out of his box and live life to the fullest. He realized that he had been existing most of his life in fear of life, even though he ironically brought a period of life back to his patients. There are so many of us who are asleep. There are so many of us who walk around this world in our catatonic state, longing for an awakening. Trapped inside our insecurities, our fears, or the expectations of others or ourselves, we watch from a window inside our soul. Hands pressed against the glass, we long to leave our prison we’ve created, but the risk seems too great, and normalcy screams the safer option. And so we learn to be catatonic sleep-walkers. We are great actors. 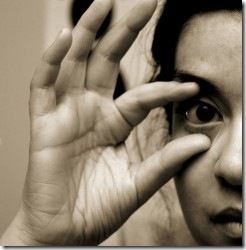 We learn all the cues of how to look awake. We learn what “awake” words and phrases sound like. We learn all the “normal” ways of how society wants us to be authentic and we become that character. All the while yearning to let our true self out to dance, play and change the world we were meant to change for such a time as this. The ironic part is that as we play the role, the world is longing for sleepers to awake. Enough with the games. Enough with the politics. Enough with the fears of social stigma. And I am speaking from a small place of experience. These past couple of years have been and continue to be an awakening for me. But it’s also a struggle because “sleeping” is so comfortable. Blending in is safe…but it’s also boring. (But more of that in Part 2!) Let us be who we were made to be for this moment in history! Let us pull off the covers that try to hide the beauty that is our unique self and let us unite that uniqueness with the God of love and grace who will heal us and give us the freedom and ability to dance this beautiful dance we call life. I want to drink every drop of this one sweet wild life! This is exactly what I needed today. I’m serious! Thank you for this beautiful and deep message. Very well said. And so poetic. Wide open. I love it!